The latest patch for Chronicle: RuneScape Legends goes live today, bringing with it a bunch of new cards that are sure to please players of Old School RuneScape, as well as the usual assortment of balance changes and gameplay tweaks. 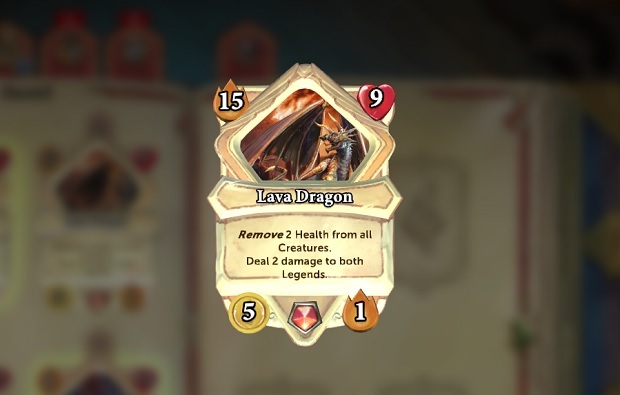 The 10 new cards — four monster and six support — lean toward the beefy side, including a 15-attack, 9-health Lava Dragon and 6-gold Stamina Potion. There’s even an Undead Cow, which we would suggest you do not try to make hamburgers out of. Three cards — Ogre Brute, Revenant Dark Beast, and Wilderness — receive minor balance changes, while a few other tweaks are made to the new player experience. Notably, you need a total legend rank of only five to get into Ranked mode, and only two legends, Ariane and Raptor, are available after completing the tutorial. Other legends can be unlocked by beating them in solo play. You can read the full patch notes on the Chronicle site. I did try and play this game but all you get is wrong/login or password and thats after changing my password 2 times. So I know it’s not me. cmon now jagex… do we really have to go this route.